Winding down in Arlington means live music! The Clarendon neighborhood is especially known for its abundance of evening entertainment. Galaxy Hut hosts live music most Sunday and Monday nights, with karaoke sometimes added to the mix. Depending on the night, at nearby Clarendon Grill you can take salsa lessons, play trivia or enjoy a live band. Whitlow’s on Wilson has live music several nights a week too. If you’re looking for more of a night-club vibe, Clarendon Ballroom has a 3,000 square foot dance floor plus a variety of East Coast DJs and bands. Check out The Salsa Room on Columbia Pike for occasional live performances along with salsa lessons. 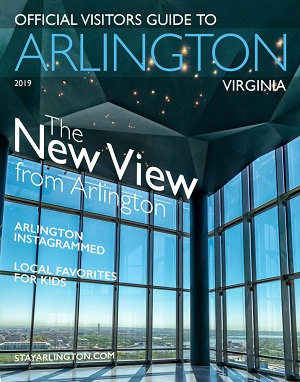 The Columbia Pike Blues Fest in June and Rosslyn Jazz Festival in September are Arlington’s signature live music events. All year round, the U.S. Army Band presents free concerts that uplift spirits and inspire love of country. Summertime in Arlington means free outdoor concerts and patriotic performances nearly every night of the week. You can find a free concert series at the Air Force Memorial, Lubber Run Amphitheater, Pentagon Row, Rosslyn’s Central Place, the Netherlands Carillon and the Marine Corps War Memorial (Iwo Jima). Twilight Tattoo is a live-action military pageant at Joint Base Myer-Henderson Hall featuring the U.S. Army Band "Pershing's Own." Experience a glimpse into American history through performances by The U.S. Army Blues, vocalists from The U.S. Army Band Downrange and U.S. Army Band Voices, The Old Guard Fife and Drum Corps, and The U.S. Army Drill Team.